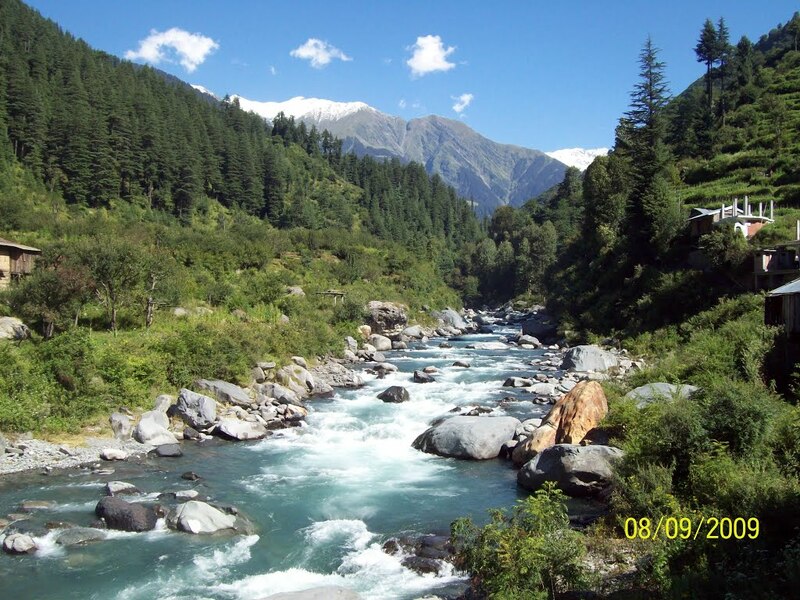 Barot is situated in a small V-Shaped valley formed by the Uhl river. Surrounded on both sides by parts of the Dhauladhar range of the Himalayas, Barot is located at an elevation of 1819 metres above the mean sea level. Most of the village is settled along the banks of Uhl on both sides in Joginder Nagar Valley. The Uhl barrage and reservoir for the Shanan Power House are a major geographical feature of Barot. Most of the forest around Barot is deodar and Himalayan oak. Barot is a frequent backpacker and day tourist destination. 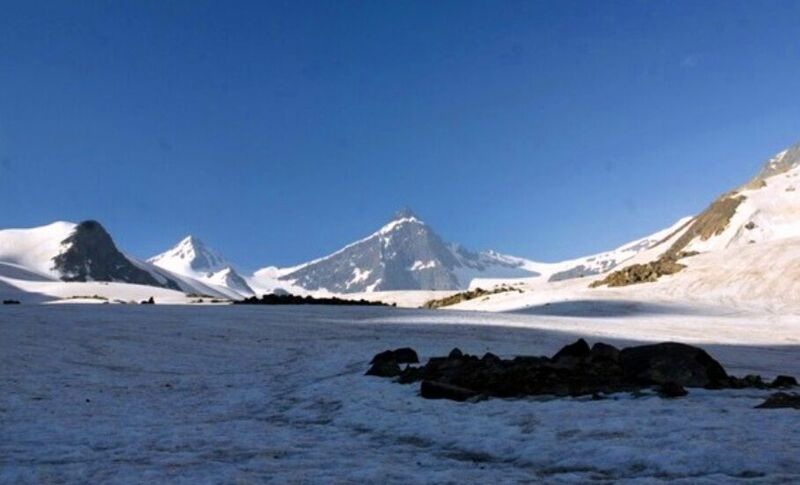 Many trekking trails pass through Barot, including trails to Bada Bhangal, Manali and Kullu. Most of the day tourists as attracted by the serene surroundings and cheap availability of accommodation. Barot is an exotic valley with breath-taking views and awesome weather throughout the year. Surrounded by green mountains and accompanied with UHL river, Barot is your gateway to bliss. 15 kms upwards of Barot through a well paved metalled road we come across the broad and beautiful valley and village of Badagran and its mesmerizing. 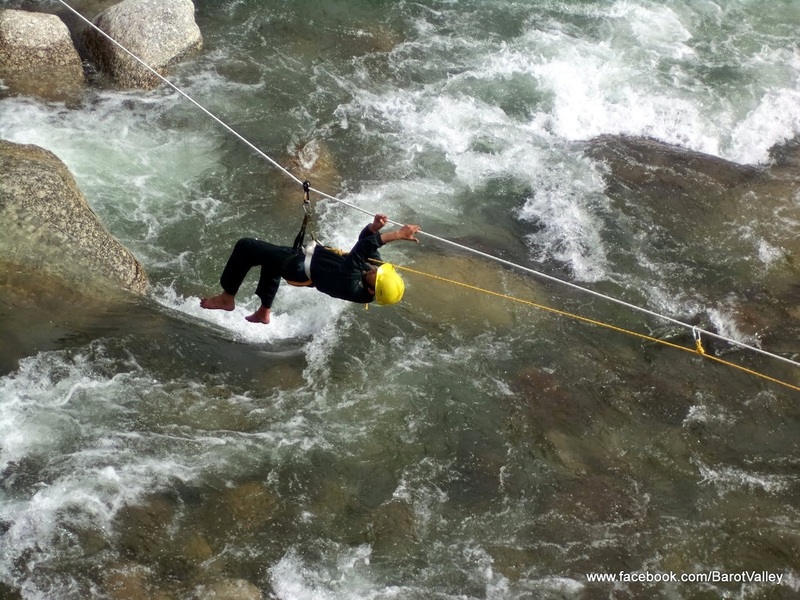 Badagran is where our camp site is situated and we provide full fledge adventure activities like Rock-Climbing, River Crossing, Rappeling and Trekking towards Rajgunda, Billing, Plachak, Panihartu and Chamba, Manali via Thamsar Pass. There is another beautiful trek which comes via Lohardi Village near Barot and leads to the beautiful Danesar Lake and Kullu via Sari Pass. Barot Tour can be clubbed with Bir-Billing, Palampur, Monastery Tour and Dharamshala as they all lie in vicinity of each other. Thus making a memorable and breath-taking experience at a fraction of tour cost. You can also check out our Barot-Rajgundha-Billing-Palampur Tour as it covers the most amazing nearby locations in a short span and is full of adventure and thrill. The twin villages of Rajgundha and KukarGundha are part of a different world. The old construction with stone slates and wooden logs leaves the visitor coming from city spell bound as if he has reached a magical land. The villages are still not connected with road, however a 3 hour level trek from Billing is suffice to enter this enchanted land. The valley opens up as you view a glimpse of Dhauladhar and the mighty Thamsar Peak, with Uhl river flowing a few hundred meters below its right. It's a fertile land blessed with prosperity, bird and wild life. The villagers here live for 6 months and in winter move to lower places with their cattle. The houses are traditional and made of wood, stone and mud. Rajgundha was earlier under wild life sanctuary, however it has been recently removed and now comes under agriculture land. There is a school, few new constructions, a forest and a private guest house in Rajgundha. The road from Billing to Rajgundha is wide, however it's not maintained properly and has many rough and broken patches thus making it in-manoeuvrable. The trek from Rajgundha also leads to Plachek, Panihartu and Bharabhangal over the mighty Thamsar Pass @ 4700 meters on a beautiful and easy trek till Panihartu, from where things start getting challenging but the beauty of Thamsar, it's lakes and views and experience of being in Bhara Bhangal Valley which is the remotest village of Himchal and its lush green meadows fully compensate the efforts of the trekker. Overlooking Rajgundha on its right is Badagran, which is not very different from Rajgundha except it's situated on top of the hill, instead of being in the valley and is well connected by road. The trek from Rajgundha to Badagran is simple as one just have to descent and cross the UHL river over a wooden bridge and ascend over the fields of Badagran which takes nearly 1-1.5 hours. The experience of crossing the river over wooden logs and the breath-taking views of the valley are enchanting. Badagran is connected by a metalled road and offers a beautiful drive over waterfalls, gorges, colored mountains and a wide valley until we reach civilization in 10 kilometers, while we enjoy our 15 minutes of bliss as it gets connected to the beautiful station of Barot. Our campsite situated at 2200 meters on the beautiful fields of Badagran surrounded by tall mountains on both sides. Staying at Badagran and Rajgundha is an experience you will never forget in your life time.